Investing in Jewelry: Sparkling Advice | What is it worth? Diamonds are a girl’s best friend, but could they also be her investment portfolio? Jewelry has been seen as a currency since time immemorial. It paid a king’s ransom in the medieval age and is still used as a dowry in some cultures. And if bought smart, it can generate a financial return. Either way, it is probably more enjoyable to buy sparkling jewels rather than dusty, boring shares and stocks. Read on, we listed everything you need to know before you invest in jewelry. The capricious nature of fashion is an issue in jewelry investment. Doing an intensive research on an auction price database such as Mearto is the best way to be in the know of rising trends, which will help you to acquire pieces that will rise in value. This will allow you to get a return on your investment or find pieces to pass to coming generations as heirlooms. When we look at market trends, diamonds consistently retain their value and provide a return. The quality of the diamond, defined in 4 C’s –cut, clarity, color, and carat- is the most important denominator for its future value. When buying a diamond, keep in mind that clarity and color are more important than carat or size. It is better to have a smaller, better quality diamond then a larger but cloudy stone. When it comes to the cut of the diamond, newer and trendy cuts tend to hold a temporary value. So if you want an investment piece, stick with fairly standard shapes. Lately, natural pearls have also been on the rise in the market due to rarity and added a sentiment. Colored sapphire is also observing popularity, in accordance with fashion trends of today. Styles with intricate gem setting and expert metal craftsmanship will hold their value better and would be worth more than the sum of their parts. However, platinum, for example, wouldn’t hold its value as well as gold, although it is harder to carve and requires more craftsmanship. Or Victorian styles, albeit complex and sophisticated, are not sought after in the market because their styles are perceived outdated. In vintage jewelry, brand and provenance determine the value and potential value increase of a piece. Some iconic names such as Cartier, Tiffany & Co., VCA Alhambra will retain value and possibly provide a return in time. Some other brands normally associated with costume jewelry, such as Chanel and Judith Leiber, continue to have a high market value, even when they aren’t made of precious metals or diamonds. A classic designer and a timeless design is the recipe for a safe bet when it is well maintained. Nevertheless, an avant-garde piece is more of a gamble, but if it has its moment, then it will probably be huge. Regardless, what doesn’t change is the fact that the quality of a piece determines its future chance and research along with knowledge of the trends in necessary. The other important factor in buying vintage or antique jewelry is provenance. Items owned by famous names always attract attention when they come on the market. 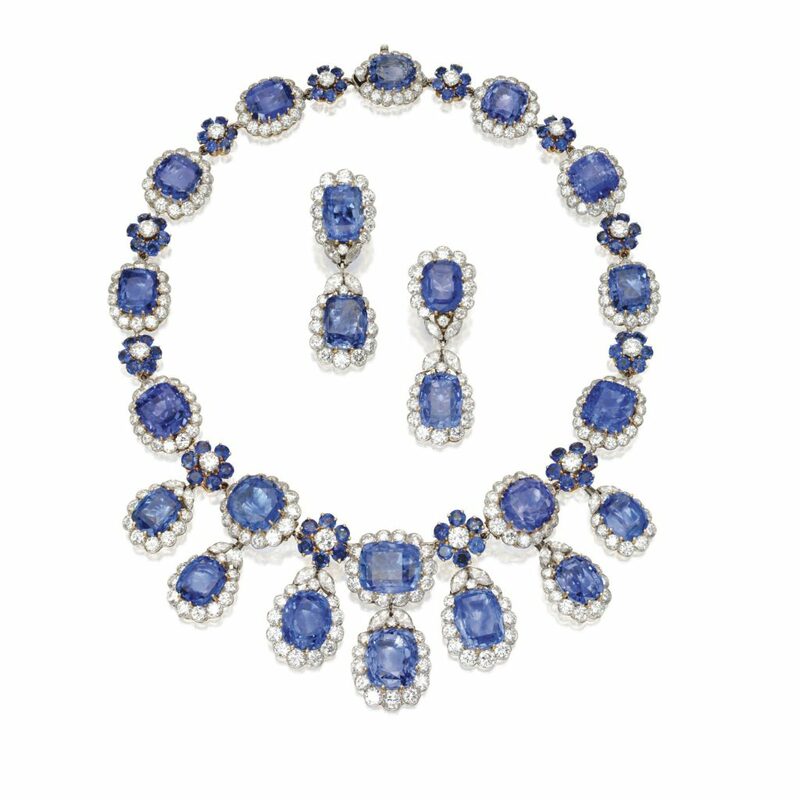 Collections of Elizabeth Taylor, the Duchess of Windsor and Princess Margaret have created great hype in the auction market, selling for much more than mere material worth. If that’s what you’re after, keep an eye on the big auction houses such as Sotheby’s and Christie’s, since they are the most likely to be entrusted with the sale of prestigious collections. Art Deco diamond ring, Cartier, 1930s. Sold for € 74,522 at Sotheby’s in London. Antique, which means older than 100 years old, pieces tend to be a safer bet than newer ones. However, just because a piece is antique, doesn’t always mean it is valuable or going to earn value in the future. As mentioned above, Victorian jewelry is not sought after because their style is out of fashion and they are in surplus in the market due to mass-production. Experts advise being on the lookout for Georgian and Edwardian pieces. Georgian jewelry is hard to come across in the market and it is in high demand with precious and semi-precious gems set asymmetrically on a soft gold base. Another highly popular style, Art Deco, is about to become antique rather than vintage soon, which will probably increase its already high hammer prices. 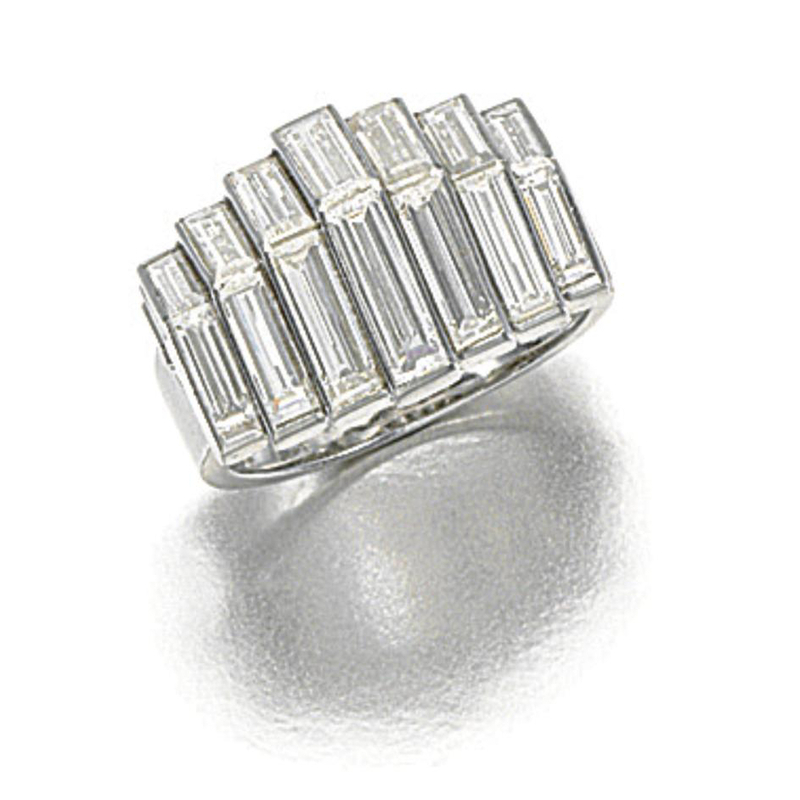 A good example to the popularity of Art Deco is the pictured typical 1930s ring with baguette diamonds, which sold at Sotheby’s for € 74,522, almost twenty times over its estimate, € 4,355 – 6,532. Finally, it is worth saying that the best way to buy is by following your heart and taste, acquiring what is meaningful to you and what you will enjoy using long term. Best returns are usually achieved through a collection of great personal taste.